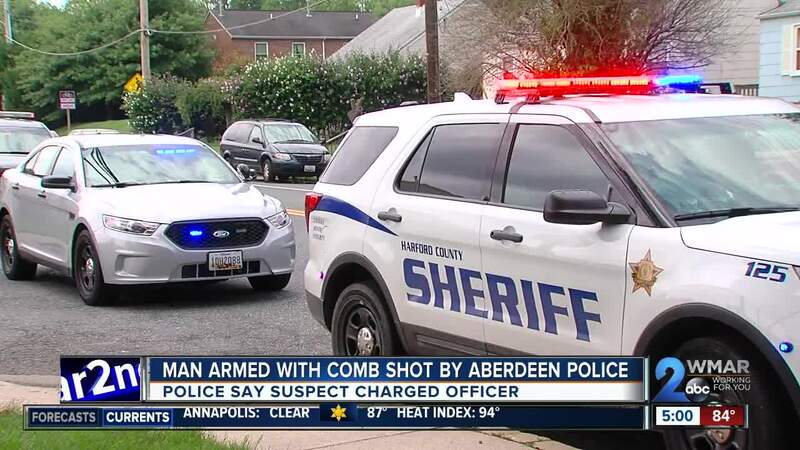 Aberdeen Police say an officer shot what they thought was an armed suspect this morning after he failed to comply with officer commands and charged officers. Lieutenant William Reiber said officers were called to the 100 block of Hamilton Place around 10:36 a.m. for reports of a suspicious person behaving erratically. The suspect, a 23-year-old Tyler J. Winkler, left the property management office and continued down the street. He engaged with a resident, saying "racially insensitive dialogue that caused that resident to retreat back into their apartment," Reiber said. At that point the first officer arrived, radioing that Winkler appeared to be under the influence and looked to be holding a knife. The officer said he would "hold tight" until another unit with a taser arrived. Additional officers arrived and confronted the man, giving him verbal instructions to comply with officer requests. "The suspect failed to comply with the commands of the arriving officers, at which point a less lethal option was deployed believing the individual was armed with a knife," Reiber said. "A taser was deployed. The taser was unsuccessful. The unsuccessful taser deployment led to the suspect then charging the officers. An officer in fear for his life fired at the suspect, striking the individual." Once Winkler was on the ground, officers immediately provided medical attention, Reiber said. A Maryland State Police Aviation Unit transported the man to Maryland Shock Trauma, where he underwent surgery and is in critical condition. "Again I want to emphasize that our officers exercised all force options prior to firing," Reiber said. But late Friday, police revealed Winkler was not armed with a knife but rather a pick style comb that he was holding like a knife with the sharp end pointed towards officers as he charged them. As per department protocol, the incident will undergo both an administrative and criminal review. Aberdeen police do not wear body cameras. The department asks anyone who may have any footage of the incident, from home security cameras, cellphones, etc., to contact police. “We want the public’s help in filling in any details that we don’t have at this time," Reiber said.